The sweet, yellow puppy is here – Woof! 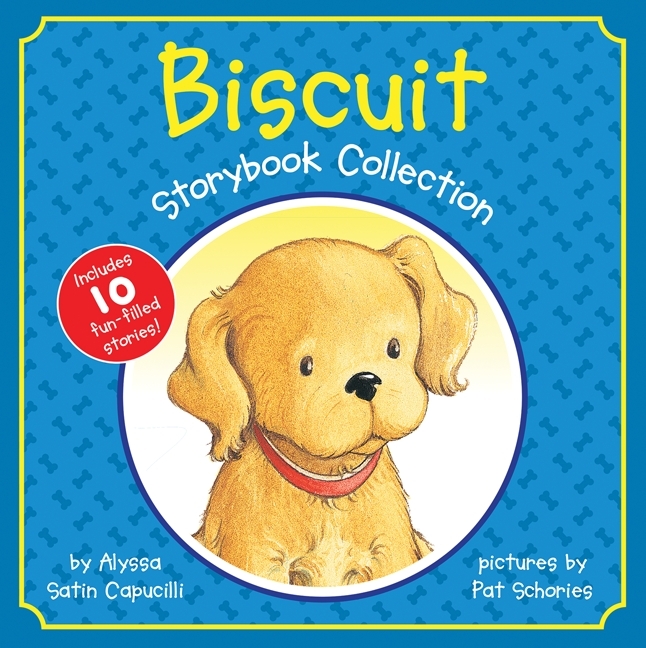 Featuring ten different stories, the Biscuit Storybook Collection is filled with cuddly moments and big adventures for Biscuit. Each day presents the chance to make new friends or explore something new. This collection includes: Biscuit, Biscuit Wins a Prize, Biscuit’s New Trick, Happy Birthday, Biscuit!, Biscuit’s Picnic, Biscuit’s Day at the Beach, Time to Paint, Biscuit!, Biscuit Meets the Neighbors, Biscuit Goes to the Park, and Biscuit and the Bunny.